I have an application, that extracts headings out of pdf files. The documents, that the application is supposed to work with, all have more or less coherent structure and formatting, in fact, telling if a text chunk is bold or not, is very important. Recently I came across a bunch of files, where some chunks visually appear bold, but do not have "bold" piece in string representation of font. The following SO thread how can i get text formatting with iTextSharp helped me to understand, that there is one more way of making text appear bold. However in my case calling GetTextRenderMode() does not help either, as it returns 0 as if it were normal text. So are there any other ways of making text appear bold, and is it possible to detect it using iTextSharp ? You are making the assumption that the font inside your PDF file knows if it's bold or not. Let's take a look inside and check if your assumption is correct. 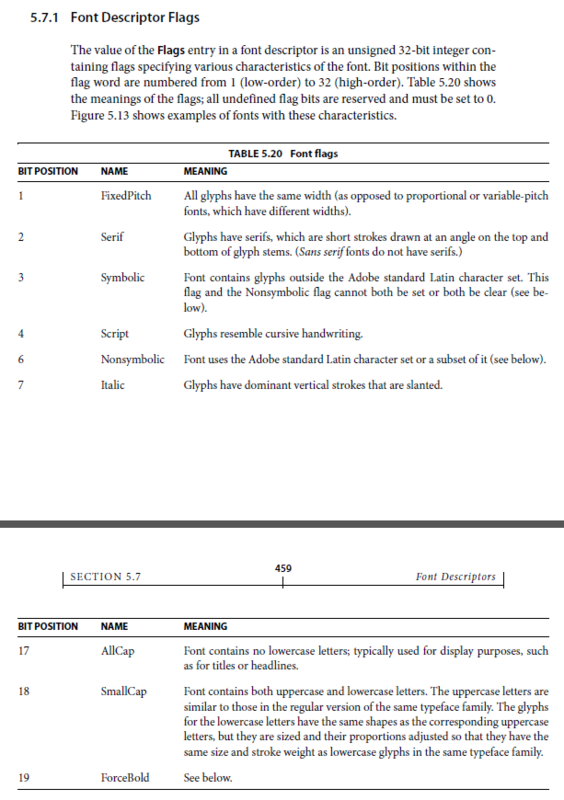 The font contains glyphs outside the Adobe standard Latin character set. The glyphs look bold, because the glyphs are drawn in a way that they appear bold. You see the font as bold because you are human. However, when a machine looks at the font, it doesn't have a clue that the font is bold. A machine just follows the instructions stored in the /FontFile2 stream. In short: iTextSharp doesn't have any indications that the font is bold. Not the answer you're looking for? Browse other questions tagged pdf fonts itextsharp or ask your own question. How to detect Font Family in PDF? 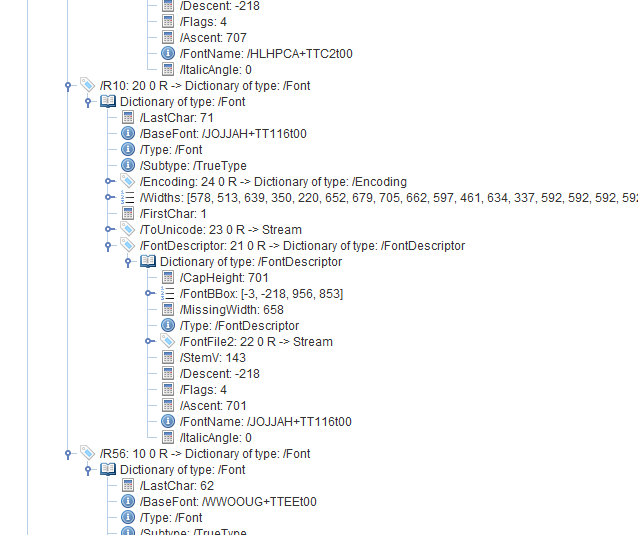 Is it possible to get structural elements from a PDF file using iTextSharp?